We recently sat down with Central Coast-based Chartered Accountants The Fox Group to discuss some common questions within our industry. What are the main reasons finance is knocked back? Occasionally we see clients who have defaulted on a telco and other accounts on a regular basis. If you have had a dispute with another business, it is vital to have it resolved. Because they usually then list an unresolved account on your credit file for all lenders to see. What are the things lenders are looking at when considering finance approvals? Where do they look & what information is visible in your credit file? What to do if you have something to your credit file? They are looking for the customer that has been in business at least two years and registered for GST. For a large purchase, they would most likely want up to date financials as well as a commitment, asset and liability statement. For cars, up to 100K, we mostly don’t require any financials just proof of good past credit. Your credit file, unfortunately, tells any lender your true credit history. All loan inquiry, any defaults, court orders and judgements. It will also disclose any companies you are a director of. Tax dept debt is the latest to be listed on your credit file. Credit repair agencies may be of some assistance if you are trying to clean up your file however they are very expensive. Do multiple applications hurt? Are you better off getting the application right from the start? Yes, they do indeed, the more credit file applications, the more your credit score is eroded. Shop around first before pressing the button. What should a borrower have to make the lending process a smooth one? Up to date financials, forecasts, management accounts, Clean portal history with ATO, etc. These days an honest declaration of all assets and liabilities as the financier can see your debt as the banks now share the information under new lending guidelines. ATO debt is a big negative for all banks now. On large deals, they want it cleared before approval, and in most cases, this is very difficult. Use a finance broker who is tapped into all the banks and is offered their best rates on a weekly basis. Stay clear of car yard finance. What are the main types of finance offered in the industry for Plant & Equipment? Does it matter these days? Mostly Chattel Mortgages for the self-employed. Novated leasing for salary packaging and Rental for Schools and Hospitals. Balloon or No Balloon? Does it matter? I tend to like no balloon as you will get equity in your purchase much faster. Still, most people do take a balloon to keep the payments at a manageable level. You have to be very careful having a long-term finance contract and a high balloon on a vehicle that does not hold its value. If the car is worth less than the outstanding balloon at trade-in time, you’ll have pay the shortfall. What are some of the myths with finance? i.e. : You need to have had a credit card to have a credit history? No, you don’t many people only have a debit card. If you do not have any credit history, then you don’t have a credit file, so funding is harder to get. Paying cash all the time may work against you. How can some dealerships offer 1% finance on new vehicles & equipment? The product they sell is called a subvention contract. You pay full retail for the car then the car yard has to give the finance company up to 8k to cover interest. The trouble with this is that you have to have a balloon on the end that is a percentage of the full sale price on t the discounted price, so you are always paying more overall. Negotiate the best deal and fund the car with a separate financier. Any tips for negotiating the best price on new equipment? Eg End of the quarter, etc. End of the calendar year, end of month end of June are always the best times. I always see the best deals if the sale is negotiated in the last four days trading as long as it can be delivered by the end of that month. What are the key advantages you believe in using an equipment broker vs a Bank? Eg, Speed, multiple pricing options, etc. All good brokers will shop around and negotiate the best deal as far as rate, penalties, and fees. On large loans some banks may be slightly cheaper than others, however, will have a considerably long and arduous application process. We always inform the client if another lender may be cheaper and ask them for say $450 per month do they want to spend days collating pages of questions. Cheapest is not always best. Why should I use a broker instead of going directly to a bank? This is a question we hear a lot, and when sourcing finance it is something that can be confusing. There isn’t necessarily a right and wrong option, it all comes down to specific business requirements, the desired level of service, specialisation and time. 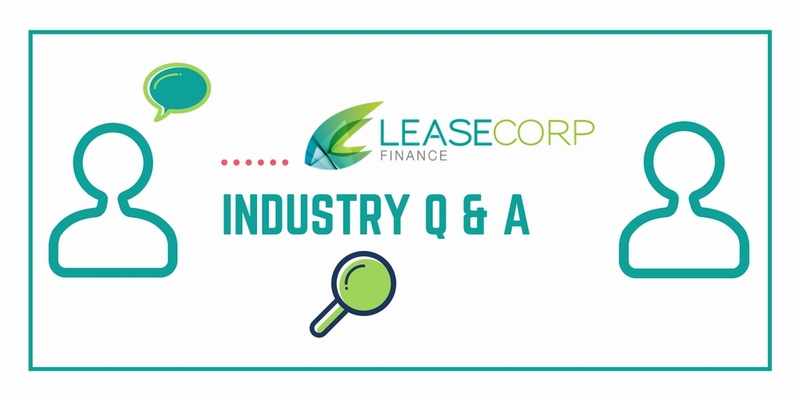 We thought we’d simplify it by detailing why a lot of people do use brokers and Leasecorp in particular. 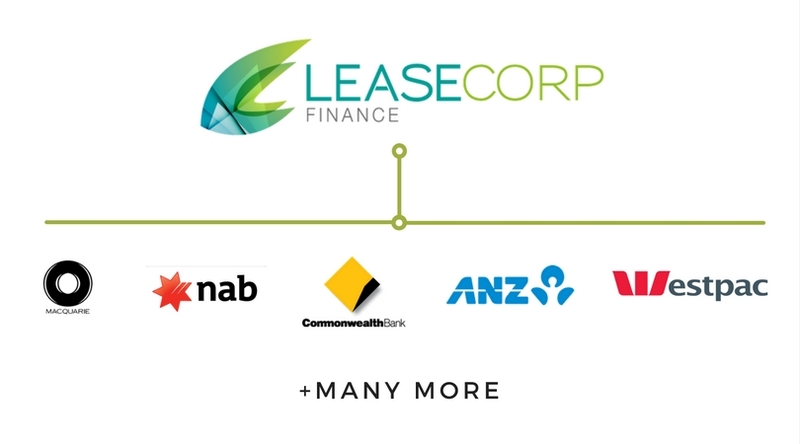 At Leasecorp we have established relationships with more than fifteen significant Australian lenders. This enables us to find you not only a competitive finance rate but also enhances the possibility that your funding will be approved. On the other hand, a bank representative is restricted to not only one rate but a limited number of lending products and structures. Our financiers know that every client and business is different and by strategically presenting your application to the right lender significantly enhances the possibilities of approval. This approach has enabled us to maintain a 98% approval rate. We pride ourselves on offering a 5-star personalised service every time. Every individual client is assigned their own financier that will work with them one on one for the duration of their time with us. We love getting to know all our clients and the businesses that they run or work for. We will come and meet with you at your home or place of business. We take care of all the paperwork and dealings with our lending partners to enable you to get on with more important things. Being in business for over 27 years has allowed us to form relationships with dealers and suppliers Australia wide. This means that in addition to providing finance we can source vehicles, heavy equipment, trucks, buses & boats at fantastic rates. On average our approvals are complete within 24-48 hours after submission, in some instances in the same day, an element of our service that continues to make us popular with our clients. Our clients come from a variety of different industries and professions from drilling, excavation & transport to pilots, engineers, and architects. Our experience dealing with clients and continued research carried out by us over the years has enabled us to develop in-depth knowledge of the various industries our clients come from. This experience is vital when deciding which lending partner and structure is most suitable for you. Unlike banks, we are here to help throughout the duration of your loan and are your private funding partner for whatever you or your business may need. 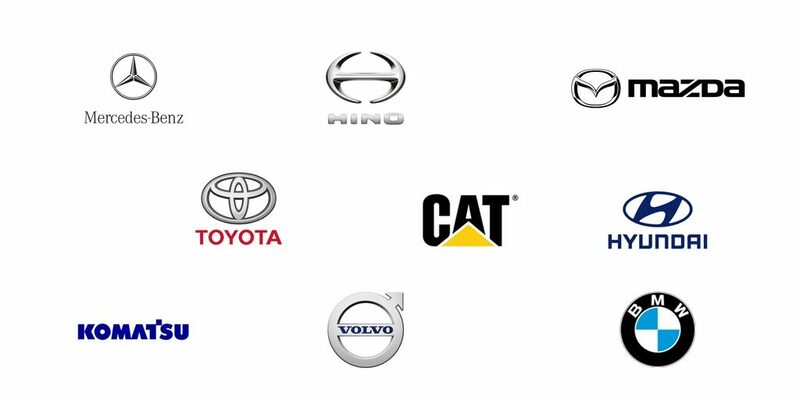 If you’d like a quote or assistance sourcing a new or used vehicle or piece of machinery, we’d love to be of assistance. Either contact us in reply to this email, via the link below or on 1800 232 615. ‘Let’s get you approved today’. A strange question for a finance company to ask right? We are often surprised when we hear clients have previously only relied on their banks for their loans. It tends to generally be a lack of understanding that people believe financing through their existing bank will be the cheapest, quickest and easiest solution. Unfortunately, this in many cases couldn’t be further from the truth and means people are missing out on various saving opportunities. 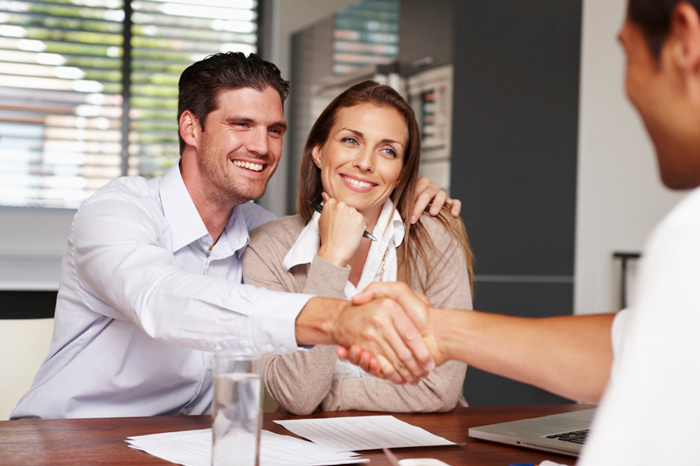 There are countless reasons why it pays to use a broker when shopping for your loan, and even if you want to use your own bank, you can still use a broker to process paperwork and manage the application on your behalf. If you are not set on using one particular lender then it pays to seek the services of an experienced broker. The biggest advantage of using a broker over a bank is choice. When you sit in front of a broker you are sitting in front of 10 plus banks and 50 + products versus visiting a banker who has access to only one bank’s products. This is especially important at time like now, when the banks are saying ‘no’ more, and by having more choices you’re likely to get a ‘yes’. At Leasecorp we have been helping clients build their businesses for over 28 years. We pride ourselves on knowing our client’s and the industry to which their businesses operate in. This enables us to ensure we select the most appropriate finance product as well as the most suitable lending partners. We are committed to our clients and have in most instances life long relationships. Banks move their staff around and reward good performers with promotions away from their customers. If you’re looking for specialised assistance with your loan, it pays to talk to a broker. Whether your business is in Earthmoving, Transport or Heavy Haulage, our staff are experienced in dealing in your industry. Bank staff often don’t have the training or experience in one area, but service whoever happens to walk into the branch. For every application that comes through our office, one of our finance managers will personally visit the client at their home or workplace to take care of all paperwork and processing. Our service includes a ‘product finding service’ that involves our staff searching our national fleet database to ensure you purchase the best value car, truck or excavator available, unlike a bank we’re not just about delivering the money. Most of the applications we process are approved with 24-48 hours, if they take longer we update our clients frequently as to the hold-up and the expected approval. 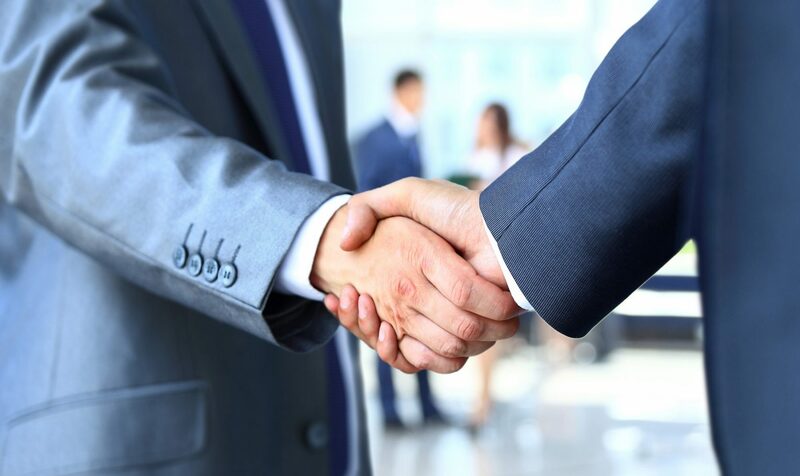 A lot of the time Leasecorp works with both our clients and their trusted accountants to ensure we structure the most suitable loan solution with business growth in mind. We look forward to welcoming you to our business family.